Now that VMware offers an ESXi only platform in vSphere 5.0, there are logging decisions to be considered which were a non-issue on the ESX platform. Particularly with boot from SAN, boot from flash, or stateless hosts where logs can’t be stored locally on the host with no scratch partition due to not having local storage. 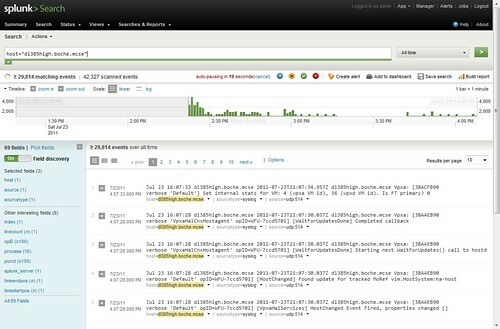 Some shops use Splunk as a Syslog server. Other bloggers such as Simon Long have identified in the past how to send logs to the vMA appliance. Centralized management of anything is almost always a good thing and the same holds true for logging. 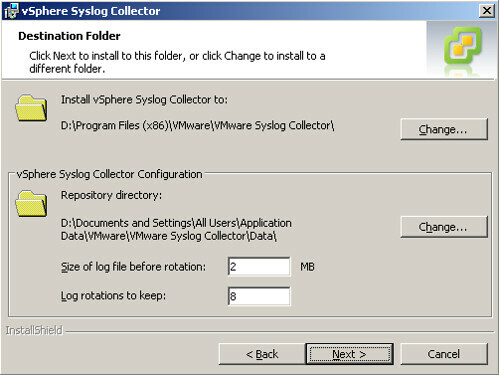 New in the vCenter 5.0 bundle is a Syslog server which can be integrated with vCenter 5.0. I’m going to go through the installation, configuration, and then I’ll have a look at the logs. 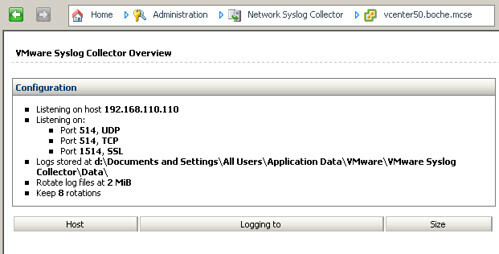 Now I’ll a configure host to send its logs to the vCenter integrated Syslog server. This is fairly straightforward as well and there are a few ways to do it. I’ll identify two. 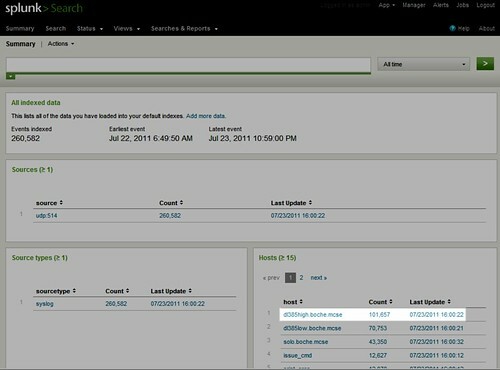 There are many other Syslog loggers options which can be tuned. 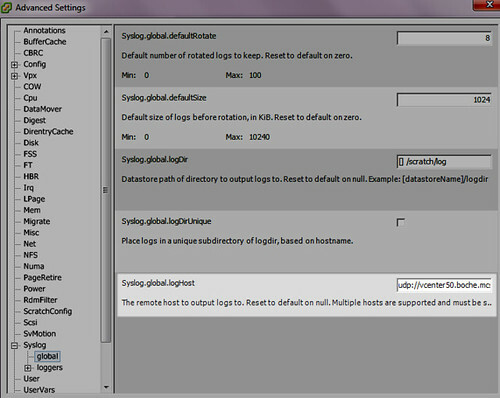 Have a look at them and configure your preferred logging appropriately. 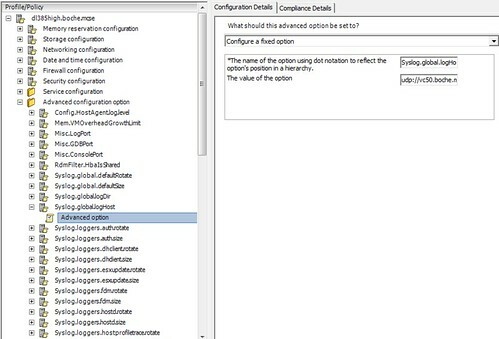 For more information, see VMware KB 2003322 Configuring syslog on ESXi 5.0. Previous Entry: VMFS-5 VMFS-3, What’s the Deal? Good article, seems so simple. 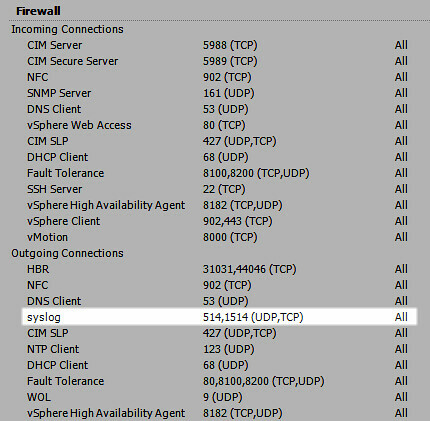 I am assuming here you would also add the esxi firewall ports to the host profile config for syslog? Great post. 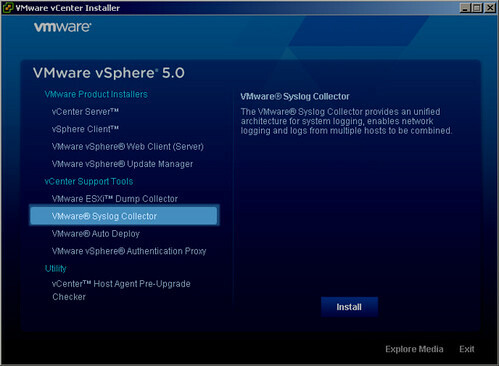 I see the syslog server adoption ramping up with the new AutoDeploy feature in vSphere 5. I did not have the syslog.global.logHost entry in the host profile, had to first manually add it in advanced configuration options and then specify the vCenter server path. Great post, thanks for sharing. Exactly what I was looking for! 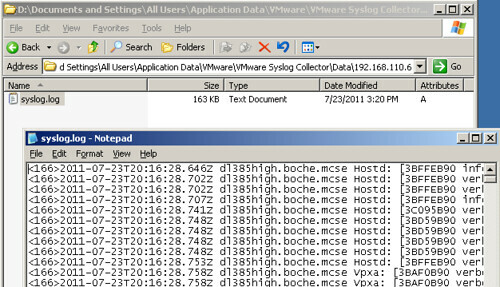 It seems that the Syslogs coming from the ESXi hosts are very verbose and fill up the text files quickly. Any suggestions/instructions on how to tone these down a bit? 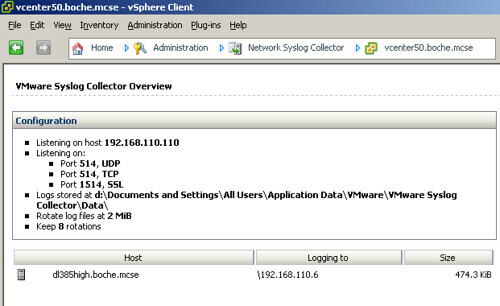 I am using the local admin credentials and I am able to authenticate to the vCenter server. 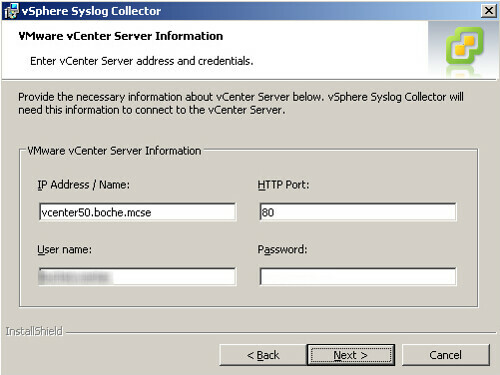 The account which is used during the syslog installation to register to the vCenter server should be an account which has “Register extension” privilege on the vCenter server. 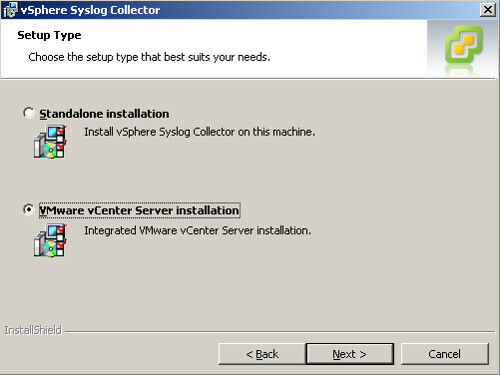 It will help me to configure the VMware syslog server. Previous Entry VMFS-5 VMFS-3, What’s the Deal?